Wiki Biography: Brian Cox is an Emmy Award-winning actor, first coming to attention in the early 1970s with performances in numerous television films. His first big break was as Dr. Hannibal Lecter in Manhunter (1986). The film was not overly successful at the box office, although Cox's career prospects and popularity continued to develop. Throughout the 1990s, he appeared in nearly 20 films and television series, as well as making numerous television guest appearances. More recently, Cox has had roles in some major films, including The Corruptor (1999), The Ring (2002) and X2 (2003). 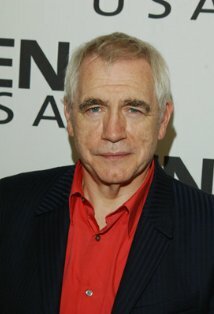 He was awarded Commander of the Order of the British Empire in the 2003 Queen's New Year's Honours List for his accomplishments in theater, film and television.